‘The Nuck Stops Here’ is a Vancouver Canucks news, opinion and analysis columnthat runs every Sunday throughout the regular season. On Monday, November 14, 2016, Pat Quinn will be inducted into the Hockey Hall of Fame as a builder. The “Big Irishman” was honoured posthumously for his contributions to the hockey world as an inspiring leader, serving as a coach, general manager and executive from 1977-2011. 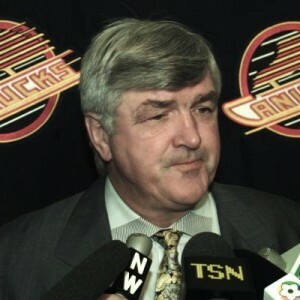 Apart from his nine-year playing career, Quinn worked in various management and executive positions with the Flyers, Kings, Canucks, Maple Leafs and Oilers. He also led many Canadian national teams to various gold medals including the 2002 Olympic Winter Games. 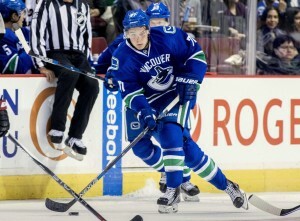 Vancouver, BC – Vancouver Canucks General Manager Jim Benning announced today that the club has re-assigned forward Jake Virtanen to the AHL Utica Comets. A native of Abbotsford, BC, the 6-1, 226-pound forward was selected by Vancouver in the first round, 6thoverall, in the 2014 NHL Entry Draft. 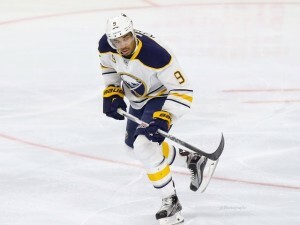 Over the past week, rumors have been circulating regarding the Canucks’ interest in Buffalo Sabres forward Evander Kane. Kane, 25, has been swamped with controversy throughout the majority of his career and hasn’t put up nearly the numbers to warrant the risk. Having hit 20 goals only twice in his seven-year NHL career, and 30 just once (partially due to injury-plagued campaigns), Kane is a wildcard at best, and a liability at worst. On a team where nothing is going right, though, it couldn’t hurt if the price was reasonable, right? Well, therein lies the problem. With reports that he would cost the team at least one of Chris Tanev, Ben Hutton or Nikita Tryamkin, the Canucks were smart in resisting a deal. While there is certainly upside in Kane, it’s hardly worth a young defensive star — particularly when that defensive asset could be used to bring in a far more effective option. Essentially, the deal would be a (potential) future or current young top pair defender, in exchange for a mixed bag, one with high volatility. For Canucks fans everywhere — even those who were hoping for a shakeup — you should breathe a sigh of relief, at least for now. Essentially, the deal would be a (potential) future or current young top pair defender, in exchange for a mixed bag, one with high volatility. For Canucks fans everywhere — even those who were hoping for a shakeup — you should breathe a sigh of relief, at least for now. Has Bo Horvat Been the Canucks MVP? Coming into the league, many questioned Bo Horvat’s offensive ceiling, as well as his potential as a game breaking scorer. However, thus far in 2016-17, he has answered many of those questions with resounding confidence. With six goals through just 19 games, Horvat leads the Canucks in goals (along with Daniel Sedin) and has done so with speed and exhilaration. Coming off a 16 goal campaign, the 2013 9th overall pick appears poised for a big year. In a year with so many disappointments, Horvat has emerged as an indisputable bright spot, with two of his goals even being of the shorthanded variety, and his overall points total rising up to ten on the year. On a nightly basis, he is a star for the team, looking like one of the few regular scoring threats. 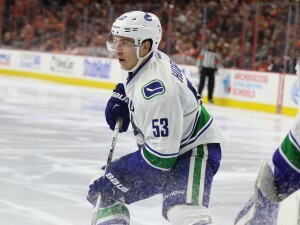 Additionally, his leadership and character has been praised by the Canucks’ veteran core (namely, Alex Burrows) and has taken charge in mentoring some of the team’s even younger players. Few, if any players have demonstrated the well-rounded nature of Horvat this season, and in the end, we may look back on him as the team’s most valuable player, as he certainly has been through the first quarter of the year.